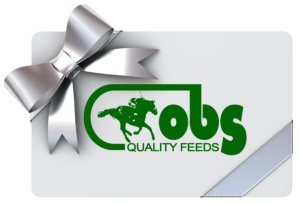 Gift cards are now available at Ocala Breeders’ Feed & Supply in any denomination. Available at any of our locations. Gifts cards are perfect for birthdays, special occasions, holidays, or the hard to shop for person. Visit any of our locations to pick up your gift cards today!